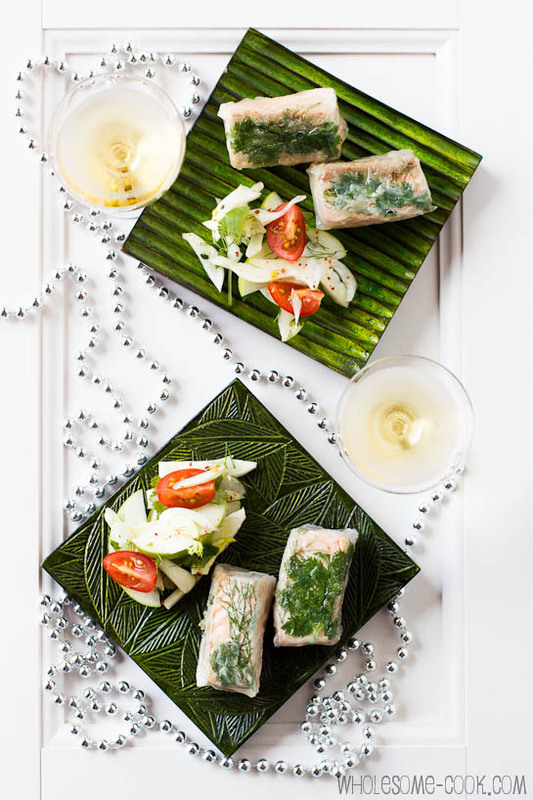 Dressed to impress, these Crispy Salmon Rice Paper Rolls make for a tasty addition to the Christmas table with no fishy smells when cooking! The result is a moist, flaky flesh in the middle, wrapped in a thin layer of crispy rice paper. Plus, my thoughts on farmed (Aussie) salmon – I’d be keen to hear your thoughts too. It is interesting how fate works sometimes. Just the other day I was reading an article about 7 foods even experts won’t eat (published in 2009 mind you). On that list was farmed salmon. Intrigued by the research, I decided to do some of my own. Before I had time to finish reading the first paper, I received an invitation from Tassal -Australia’s largest salmon producers, to cook with their product. Before I agreed, I sent back a lot of questions about the company’s practices, fish welfare and sustainability. I was pleasantly surprised by the quick response and transparency of answers. In fact, the whole Australian aquaculture industry seems to on the same page here. You can read more about Aussie farmed salmon below and share your thoughts via comments. Now, when asked about the main reason for avoiding fish, many people say it’s the smell of cooking fish that puts them off. The following crispy salmon rice paper rolls recipe makes for an odour-free dish even though it’s fried because the fish actually steams inside the rice paper skin, locking in moisture and flavour in the little parcel. As a little twist on Christmas flavours I marinated the salmon pieces in maple syrup and garnished them with coriander leaves and fennel fronds for a nice festive touch. While the side salad is an optional addition, the flavours of baby fennel and lemon in the dressing go really well with the fish. Best enjoyed warm, but can also be eaten chilled. Alternative ways of preparing non-smelly fish are to bake it in a paper bag or cook it on the grill outside. Fact: over 70% of all fish on the Australian market is imported. Solution: buy local, that way you’ll know that the Australian food safety standards apply to the food you’re eating. Fact: unless you are buying Alaskan Salmon which may be hard to come by in Australia, all other “Atlantic”, “Wild Caught” and “Ocean Caught” Salmon varieties are farmed. 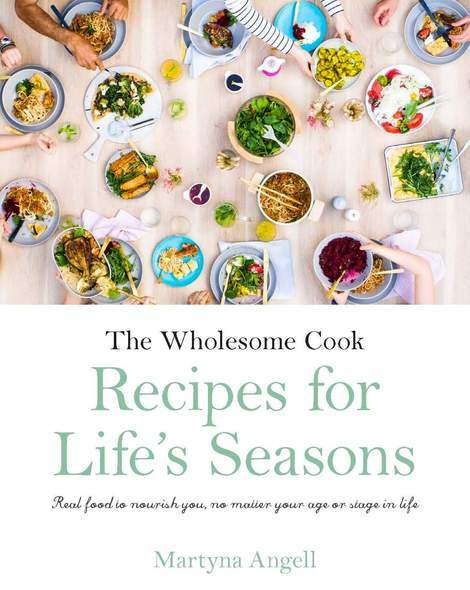 However: Australian farmed salmon, including the Tassal brand which I used in this recipe, has one of the highest quality and sustainability standards in the world (see report). In fact, Tassal has partnered with WWF to deliver more sustainable results and has been working with RSPCA UK and Australia to ensure wealfare of the fish is of appropriate standards. Antibiotics: Through better nutritional management, Australian aquaculture antibiotic consumption went from 10 tonnes a year in 2009 to 100kg. Salmon farmers in Australia only administer antibiotics under veterinary prescription and make sure that the treated fish is put through a lengthy withdrawal period, a practice confirmed in Tassal’s own Sustainability Report (read more). Compare that to the cheap and widely available basa or tilapia fillets farmed in the Mekong Delta, which are used in many processed fish products or pop up in your local fish and chips. I know which one I’d rather have. Cage chemicals: The practice of using copper-based anti-fouling paint on cages, widely criticised by environmentalists. Solution: Dr Geoff Allan, the aquaculture director at NSW’s Port Stephens Fisheries Centre, says that by late 2013 more than half of Australia’s fish farms will replace the nets using the anti-fouling paint with plastic ones, or begin using automatic net cleaners, an Australian industry innovation. Tassal is commited to having only copper-free nets by the end of June 2013. The choice is yours: of course, the choice of whether you eat salmon or not is yours. To be honest when I first started to read about farmed salmon in articles from 2008-2009 I was concerned. But going through Tassal’s and other Australian salmon producers’ sustainability reports, I am confident that the Aussie salmon is a great quality fish that can be enjoyed safely and often. Hopefully, the state of salmon farming in the US and Northern Europe – where much of the US market salmon comes from (dubbed the worst) has also improved. 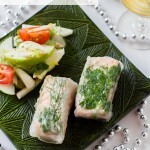 Crispy Salmon Rice Paper Rolls are best enjoyed warm, but can also be eaten chilled. While the side salad of apple, baby fennel and chery tomato with a French dressing is an optional addition, the flavours of baby fennel and tart fruit, as well as lemon in the dressing go really well with the fish.Makes 6 rolls. Rinse your salmon fillet under cold running water and pat dry with paper towels. Cut fillet across the shorter side into 6 even "fingers" and place in a bowl. Add maple syrup and toss to coat. Set aside. Soak your rice paper rounds in a large bowl of warm water, one at a time, until softened - about 30 seconds. Gently remove the rice paper and place on a clean kitchen towel. 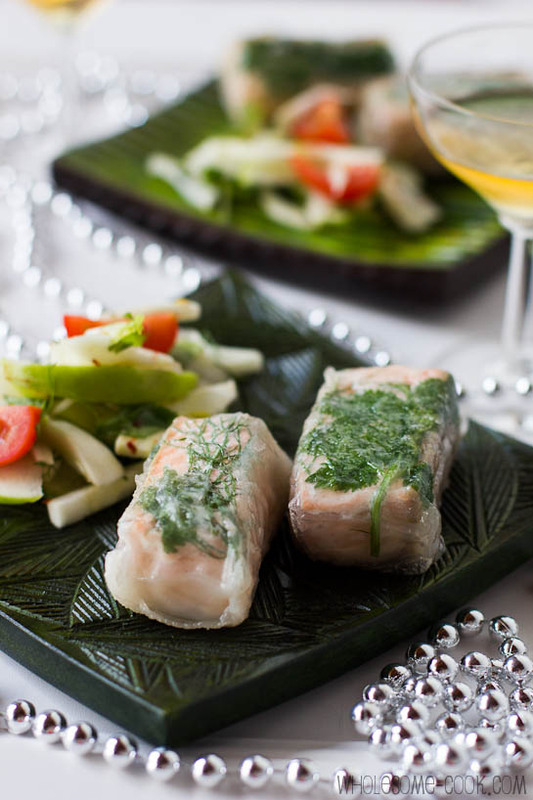 Place a couple of coriander (cilantro) leaves and fennel (or dill) fronds across the top half the rice paper sheet. Place a salmon finger on top and fold over the shorter edge over the top of the fish. Fold in the edges, then roll up the remaining paper to form a tight parcel. Repeat with the rest. Heat a generous amount of oil, about 2-3 tablespoons, over medium heat in a pan big enough to hold all parcels. Grease tongs with extra oil, otherwise they might stick to the paper. Place parcels into the pan and make sure to move them about with tongs to prevent from sticking and ripping. Cook on each side for about 2 minutes. Serve warm with your favourite dipping sauce (sweet chilli, soy or tartare) and a fresh salad with a citrusy dressing. Wow, what a great post! And well done on the Australian salmon industry for making such a huge change in the last few years. I now know that Tassal is a trusted brand. Love this recipe. The smell of fish is one of the hardest things to get rid of but I love the cripsy skin on it. Now I can have both. Great read too. Gorgeous salmon rolls! I really like how you used the maple syrup as a binder between the rice paper and the fish. Delicious! Some interesting information, thanks for sharing. I’ve had some big issues with farmed salmon for a while but it is good to know Australian Producers are taking steps towards reversing the damage. Great technique with the rolls, I’ve never made them crispy before! Martyna, thank you for a Christmas present in the form of ‘farmed fish in Australia’ information. I love fish, especially salmon. But farmed fish [altho’ I have seen films about salmon farming off the Tasmanian coast] has always created wariness in me, largely because of the artificial feed/antibiotics. The info is welcome and will be followed up even more. And to think I had basa fillets + salad for lunch 🙁 ! 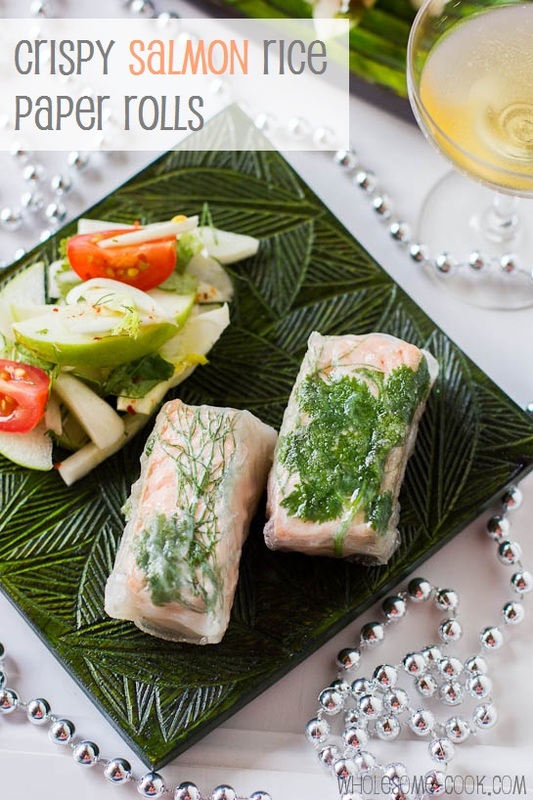 Think your rice paper rolls absolutely beautiful: one more recipe > Christmas menus 🙂 ! Thank you for the useful information, Marty, good news about the antibiotics… gorgeous recipe too. These look beautiful and I love the idea of avoiding the fishy smell by wrapping it up. Some very interesting facts there. I will be sure to look for Tassel when I am buying salmon next time. These rolls look beautiful and perfect for Christmas drinks. What a fabulous dish. I love salmon, so will definitely try this recipe. I made this for lunch today and they were fantastic. Served them with nam jim sauce for a little twist. Definitely adding to Christmas manu. I’m so glad to hear that there seems to be transparency amongst the Australian aquaculture industry. I love the sound of this recipe – so fresh and flavourful. As usual another great recipe creation!